In this huge industry, our company has emerged as a trusted manufacturer of excellent quality Tile Profile that has been catering to the requirements of clients. Being a highly quality conscious organization, we keep no stone unturned when it comes to the quality of our products. 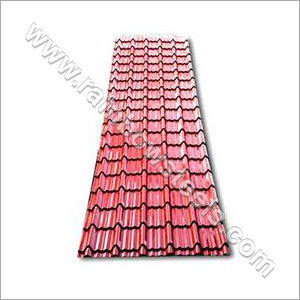 As a result, our offered high quality Roof Tile Profile is known for their high tensile strength, impressive harness, extensibility and many more qualities. Further, we manufacture these using finest quality raw material that make our range outstandingly durable in nature and provide a high yielding strength. We pack our products in such a way that no damage occurs during its transport.